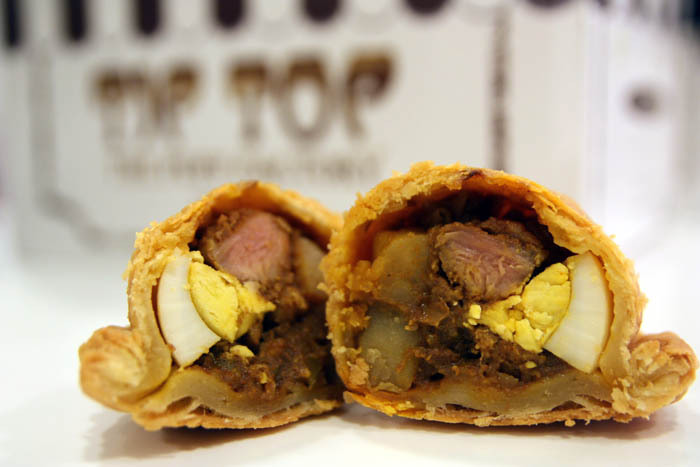 Updated: Tip Top Curry Puff at Plaza Singapura has closed. My guess is that the store did not keep up with its original standards of cripsy hot piping puffs with rich fillings of potato and chicken chunks. I have been going back but portions keep shrinking, and the puffs didn’t look too fresh. Many customers are disappointed, especially the loyal fans who once thought this was the best curry puffs in Singapore. Could Tip Top go back to how they made their puffs (hand-made yet consistent), or is this another heritage food taste lost with the times? [Original post] This curry puff needs little introduction. 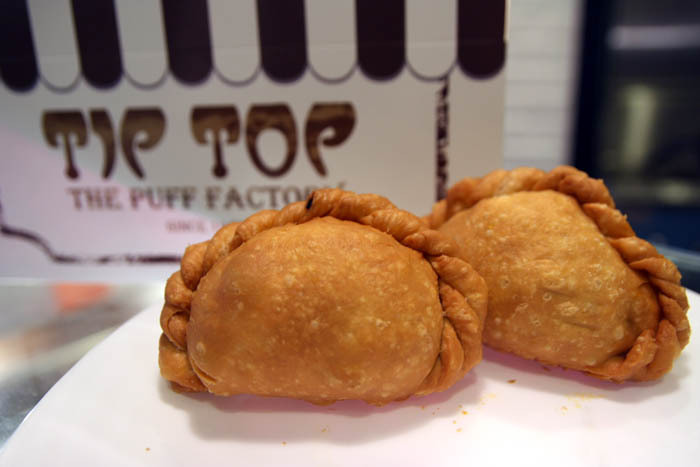 Although it has been only been sold at an Ang Mo Kio coffeeshop opposite S11 for years, any self-respecting curry puff fan will know of Tip Top’s taste and status. 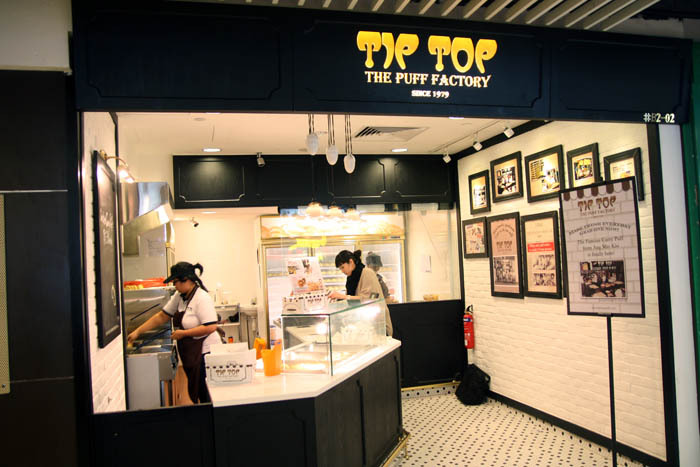 Tip Top has waited for 32 years before moving into town at Plaza Singapura, looking set to be the next A1 or even Old Chang Kee. 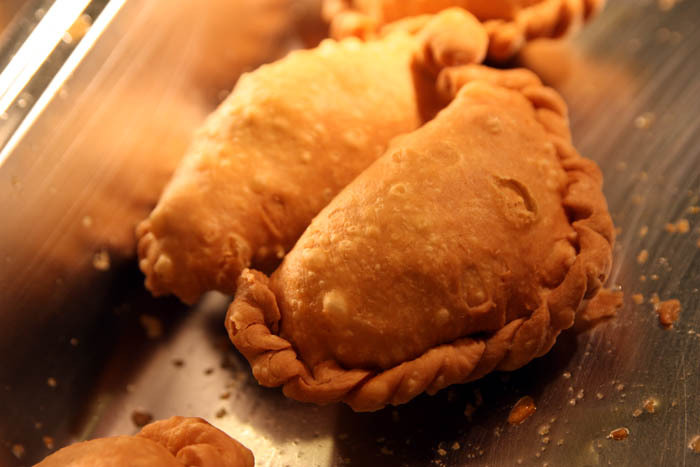 The curry puffs are known for a number of reasons: For its crunchy fragrant crust, the unique spicy fillings, huge chicken chunks and of course the ‘tax-invading’ stall which has ironically earned it more popularity and profits. 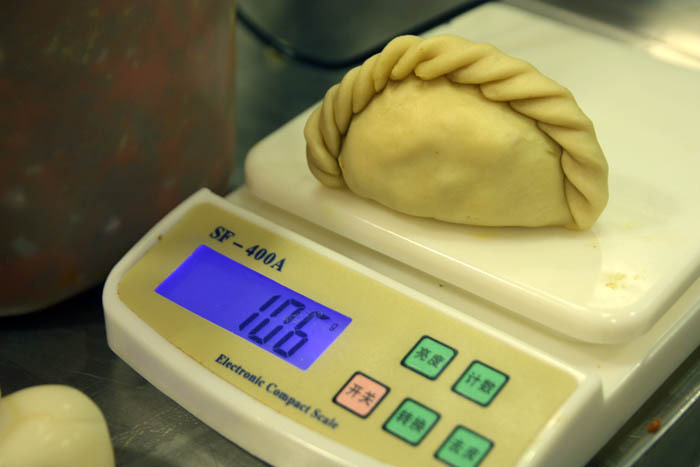 You may wonder how much profit the humble curry puffs help make. The truth is the boss did under-declare his profits amounting to $1.05 million, and that was 2006 we are talking about when puffs still cost below a dollar. This modest puff now cost $1.30 at Plaza Singapura, and continues to be made from a well-guarded recipe of 18 herbs and spices, based on a well-kept Indonesian recipe. T’ea, daughter of the founder Mr Looi, switched her job from wedding planner to help expand her father’s business. She has big plans in mind – to open up at least 2 more shops by the end of the year, and to increase the variety of items sold. And the puffs still remain hand-made behind the counter, measured precisely (at 105-106gm per piece), and are freshly-deep fried. I would say that the snack still taste more or less from what I remembered. It remains addictive and I had two at a go. But somehow being more modern also stole some of the old-fashioned charm and scent of the curry puffs.